With St. Patrick’s days so close at hand, it’s fitting to espouse the wonders of Ireland, one of the most popular European destinations for Americans. 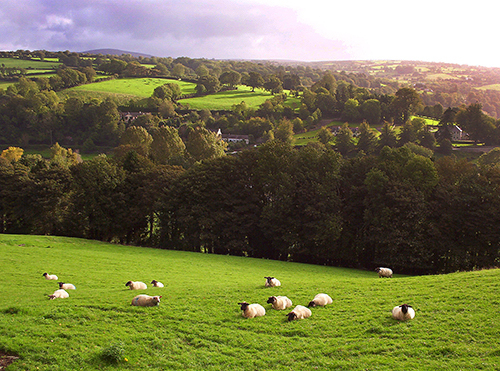 Although the reasons for Ireland’s popularity are many, three of them are paramount. First, many Americans have some Irish blood flowing through their veins, giving them a ancestral connection to the “old sod.” Second, the country is exceptionally beautiful and charming, both its the cities and its countryside. And third, and perhaps the most important, is the Irish themselves, who are among the most friendly and welcoming people anywhere in the world. What’s not to like? The island of Ireland, both the Republic and Northern Ireland, are near-magical places that provide enchanting experiences for travelers. 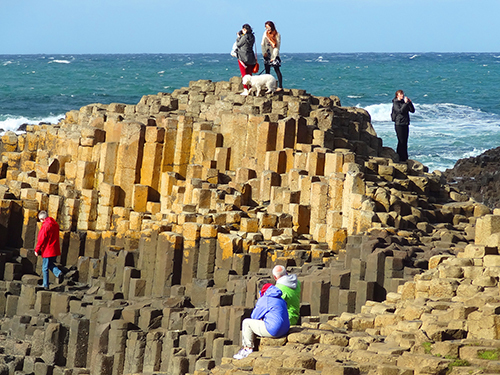 Whether you be sitting in a theater in Dublin or in a pub in Galway, standing on the Cliffs of Moher or climbing across the basalt columns of the Giants Causeway, riding in jaunting cart in Killarney or taking the ferry to the Aran Islands, you’ll encounter the charm of a nation that’s left its imprint on many of us. 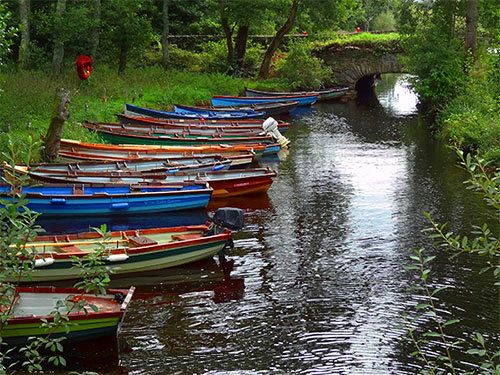 If you’d like to follow in the footsteps of fellow travelers, here are the ten most-popular places they’ve been visiting in Ireland. One of Europe’s oldest cities, Dublin flaunts its medieval and Georgian heritage amid quirky modern cafes, innovative restaurants and traditional pubs. 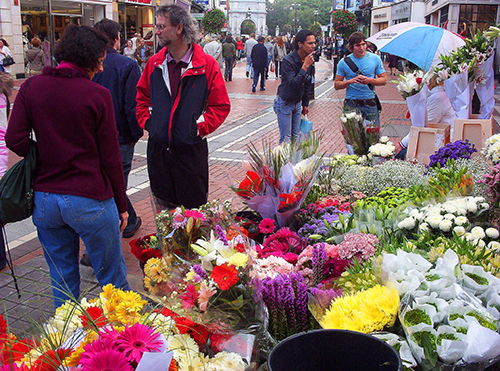 It’s a city filled not only with typical Irish merriment, but also with wonderful green spaces, such as St Stephen’s Green, and great Georgian spaces, such as Merion Square, the latter surrounded by 18th century townhouses. Be sure to view the Book of Kells at Trinity College and the fantastic collections in the National Gallery and National Museum of Ireland. Then head towards Grafton Street, for shopping, street entertainers and a spot of lunch before taking a walk along O’Connell Street, the busiest thoroughfare in the city, where you’ll see the Monument of Light spire. In the evening wander in and out of the pubs, tiny cafes and art galleries in the Temple Bar quarter. Of course, no trip to Dublin would be complete without a visit to the Gravity Bar in the city’s famous Guinness Storehouse. But even with all these visits you wouldn’t even scratch the surface of Dublin’s many delights. Long the quiet capital of the North due to the “troubles” of past decades, Belfast is a city recently reborn. In the newly developed Titanic Quarter visit Titanic Belfast, one of the most engaging museums you’ll find anywhere in the world. In Queen’s Quarter, you’ll find historic Queen’s University, the Ulster Museum and the Botanic Gardens. Stroll by City Hall, a beautiful Edwardian Building, and then hire one of the city’s famous black taxis to take you out to the Catholic and Protestant neighborhoods where political murals still cover many walls. Visit the Cathedral Quarter, the oldest in the city and which centers around St Anne’s Cathedral, an area packed with cobbled streets, superb restaurants and great pubs. Across the street from Belfast Cathedral, a beautiful church with a 130-foot stainless steel spire lofting skyward through a glass platform above the altar, stroll about small Writer’s Square, which pays tribute to 27 Northern Ireland authors. Leave a few minutes also to pop into the renowned Crown Liquor Saloon with its centuries-old interior, one of the more ornate pubs in Belfast. In the Southwest region, Cork is a delightful mix of markets, galleries, stores and heritage attractions, all within a stone’s throw of one another. It’s wonderfully compact and easy to explore. Visit the English Market, the oldest market of its kind in Europe, which offers artisan foods from an array of Irish producers. Also worth visiting is the old castle-like 19th century Cork City Gaol, a 20-minute walk from Cork City Centre. For a unique hands-on experience climb the bell tower of St. Anne’s Church in the historic Shandon area of the city and pull the ropes hard to ring the bells out over Cork city, a centuries-old tradition. Duck into a pub any evening and chances are you’ll find a small group of musicians that have taken over a corner. Savvy locals know Sin É is one the best pubs for fiddle players where, on an average night, up to 10 could be performing. If you arrive on a quiet night (you may just be too early) try the Corner House next door. 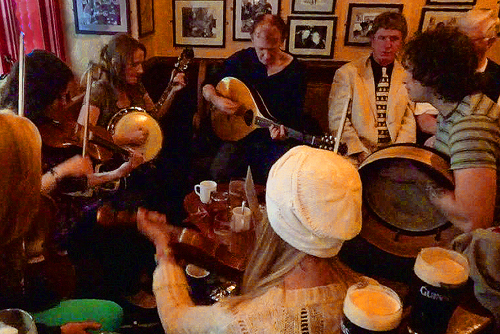 Vibrant traditional music also rolls out of An Spailpín Fánach, where you’ll also get a fine pint of stout, as well. Limerick has a brilliant mix of arts and heritage. For millions of readers worldwide, Frank McCourt’s childhood memoir, Angela’s Ashes, was a poignant introduction to the city. The First Irish City of Culture, it is a fantastic mix of impressive Georgian architecture, old markets and some great galleries and museums. You have one of the finest private art collections in the country at the Hunt Museum, a much-respected municipal facility in the Limerick City Gallery, and lots of Shannon heritage in Bunratty Castle and the 800-year-old King John’s Castle, one of the most intact medieval castles in Ireland where you’ll also enjoy incredible views out over the River Shannon. 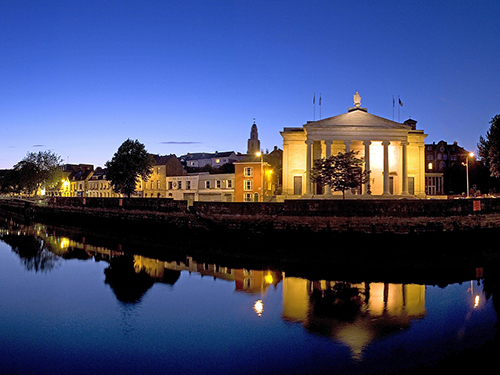 But the city isn’t just all museums and other heritage sites – Limerick’s youthful student population ensures quite a bit of fashion, visual arts and theatre throughout the city for both resident and traveler. A buzzing metropolitan interlude along what is now aptly called the “Wild Atlantic Way,” Galway has a youthful population and a bohemian spirit. 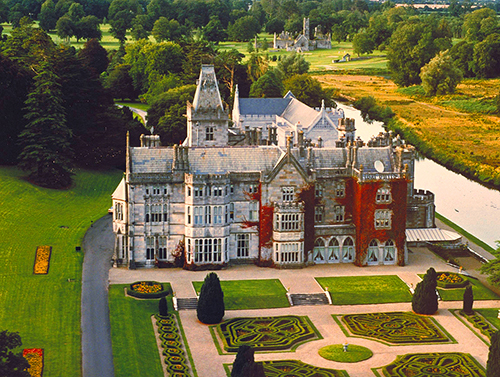 It’s one of the country’s most lively places to enjoy Irish culture. 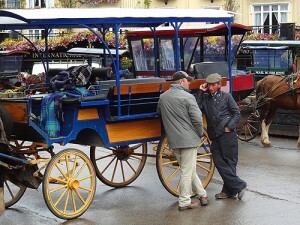 Galwegians revel in enjoying themselves and the city has a reputation for artistic creativity. You’ll find its charms best enjoyed by simply strolling the city’s lanes and soaking up the atmosphere since there’s plenty to keep you occupied. And Galway knows how to celebrate. Every year its infectious up-tempo vibe is played out in a full calendar of festivals and events centering about everything from music and horseracing to literature and oysters. It’s no wonder people pour into the traditional pubs and lively bars every weekend. The city’s flamboyant arts scene also attracts visitors from all over the world with a whirlwind of activity that includes its much-trumpeted Arts Festival and the intimate, critically acclaimed Galway Theatre Festival. If it’s social glamour you’re after, don a fancy hat at the summer Galway Races, when 250,000 people converge for an equestrian spectacle that lasts an entire week. Know both as Derry and Londonderry, this is a compact city with plenty of character. 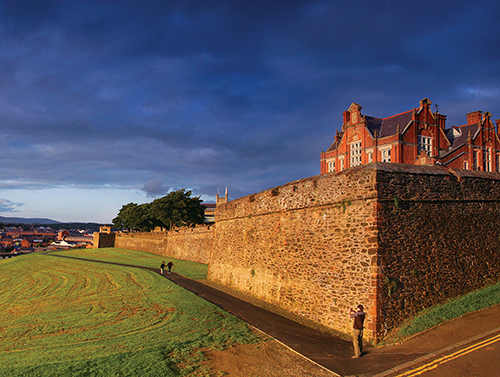 The only remaining fully walled city in Ireland, Londonderry’s fortifications are among the best preserved in all of Europe. Inside the ramparts visit the Tower Museum (with its exhibit on local history), St. Columb’s Cathedral (with its wooden ceiling) and The Diamond war memorial (which was originally made for Sheffield in England). There’s much to do in Londonderry since, just as in Belfast, the arts scene in the city is also thriving. On the walls of terraced buildings, murals depicting peace, triumphalism and discord are colorful keys to the city’s persona. 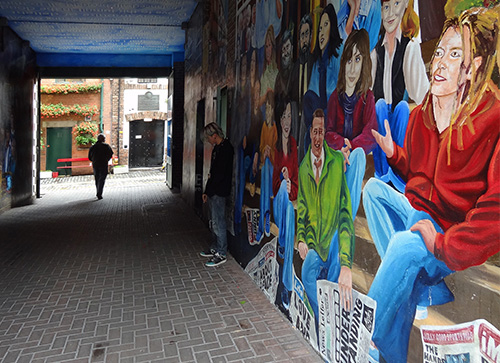 Internationally famous is The People’s Gallery, a stretch of murals that depict the time of the “troubles” in Northern Ireland, which runs the entire length of Rossville Street in the Bogside area of Derry. 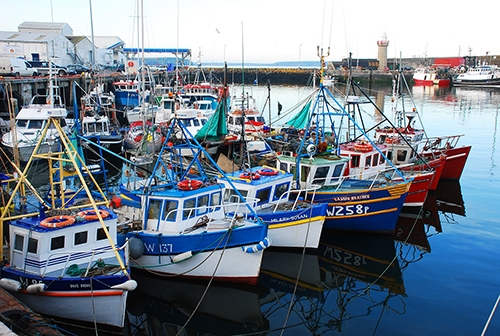 Waterford is much more than its celebrated crystal. In fact, it’s often referred to as “Ireland’s oldest city,” and it’s a place that can trace its beginnings all the way back to the arrival of the Vikings in 914. You can see part of the Viking heritage of the city at Reginald’s Tower on the quayside, the only monument in Ireland named in honor of a Viking. But despite its Viking heritage, much of the historic part of the city today is Georgian. You’ll find some of the best examples of Georgian architecture along The Mall, which begins at Reginald’s Tower and runs southwest, as well as in the nearby Cathedral Square. The city’s Spraoi street carnival (Spraoi is the Irish word for fun) takes place every August and covers the city in a riot of color and craic (another Irish word for fun). Think live music, street performers, epic floats, fireworks and free. And yes, of course, there’s the famous Waterford Crystal Center. While much of the crystal making now takes place elsewhere, Waterford’s famous “prestige pieces” are still made in the city, at the popular Waterford Crystal Visitor Centre. Of interest to many travelers is the centre’s shop, which suitably has the world’s largest display of Waterford crystal in the world. Don’t forget your credit card. The Giants Causeway – a curious assembly of 40,000 basalt columns of cooled molten lava on the North Antrim coast – is a UNESCO World Heritage Site and one of TripAdvisor’s “10 most dramatic landscapes on the planet.” It’s also the scene of some of Ireland’s most exciting walking trails and paths, which provide routes for easy walks, moderate strolls and more demanding hikes. All along the nearby coastal area known as Carrick-a-Rede there are wonderful vantage points to stop and take in the natural beauty. Its geology, flora and fauna have won it recognition as an area of special scientific interest since Fulmars, Kittiwakes, Guillemots and Razorbills breed on the islands close by. One of the most popular attractions in the area is the Carrick-a-Rede rope bridge, originally erected by fishermen to allow them to cross to Carrick-a-Rede island to check their salmon nets. Today it provides an exhilarating experience for those willing to traverse its 75-foot deep and 65-foot-wide chasm. Not far away in the town of Bushmills in County Antrim, Northern Ireland you can visit Ireland’s oldest working distillery that today continues to make Ireland’s celebrated and popular whiskey. Killarney National Park is an incredibly beautiful area that’s home to Kerry’s crown jewel, 3,406 foot Carrauntoohil mountain, Ireland’s tallest, as well as to spellbinding lakes and forests. 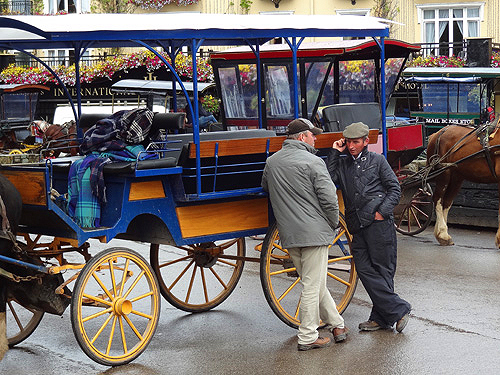 Take a jaunting car ride through the park and visit beautiful Muckross House, the mansion where Queen Victoria stayed in 1861. (The Queen, by the way, gave six year’s notice of her visit – plenty of time for the house to be redecorated – and arrived with her own bed and a 100-strong entourage). Today the 19th-century house and landscaped gardens are a national treasure. Killarney is also one of the traditional starting points for a drive about The Ring of Kerry, a 100+ mile loop about the Iveragh Peninsula. The route is ripe for driving, but those with heartier dispositions may want to explore the spectacular landscapes of west Kerry by bike or foot. 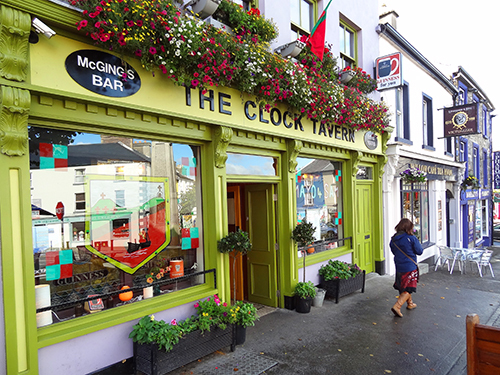 Westport in County Mayo is an official “Irish Heritage Town” and quite attractive with tree-lined streets and eye-catching shops. It also has many appealing restaurants and pubs, especially along charming Bridge Street. The most famous of these is Matt Molloy’s, a pub named for, and owned by, the flautist of the Grammy-Award winning musical group The Chieftains. Westport was once voted as “the best place to live in Ireland” and its pretty setting reaffirms it. But go further afield and visit the area surrounding the town including Clew Bay west of the city. There you’ll find 18th-century Westport House mansion, built upon the site of a castle of pirate Grace O’Malley. That sounds like such a cool thing to do in one of the most beautiful places in Ireland. Isn’t Killarney great? Oh, Carla…..you must go beyond Dublin the next time you’re in Ireland. It’s such an enchanting place, especially for anyone who enjoys music. You might also consider writing about the Ring of Kerry a truly amazing drive around the Kingdom of Kerry.